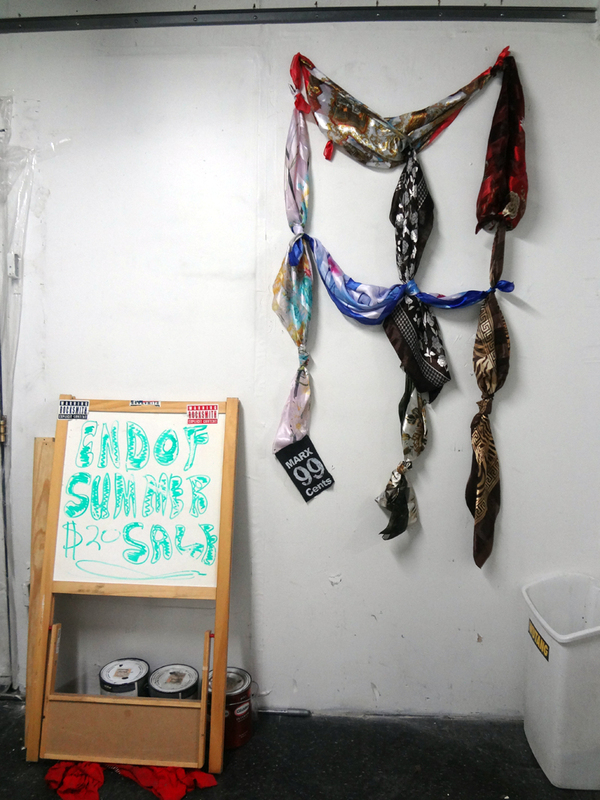 For this series, I exclusively used foulards that were sold at 99 cents here in Spanish Harlem and created some lose garments that could be worn as fashion items. The loosely hanging or tightly quilted fake silk scarves with colorful, fancy looking patterns took on quite some impressive forms and gained approving nice comments from ordinary street folks during our time parading and photographing them in the avenue where I purchased them out of shipping boxes. 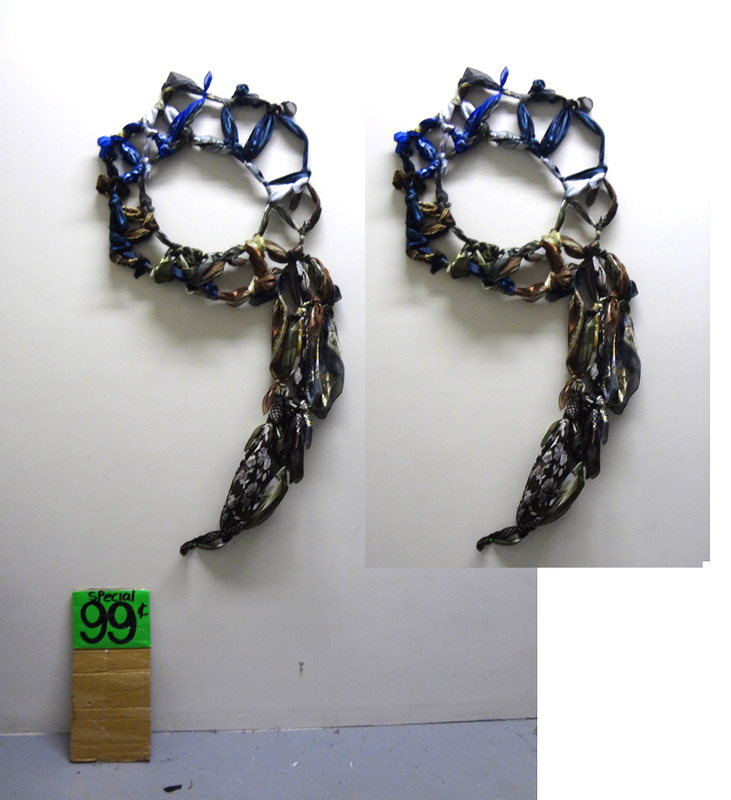 At the White Columns show, they were not included in the runway presentation but the scarves were quilted into the big and significant number 99. This number mirrored not only the typical price for the cheapest somehow useful stuff to purchase but also echoes the Occupy Wall Street movement that spoke out for the 99 % and against the 1 %.